In breaking with traditional concert norms, the Weis Center hosted its first ever Hip Hop Happening. This panel-performance brought to attention many of the political issues most commonly discussed in hip hop music in the past to lead the performers to speculate on the genre’s future in social action. 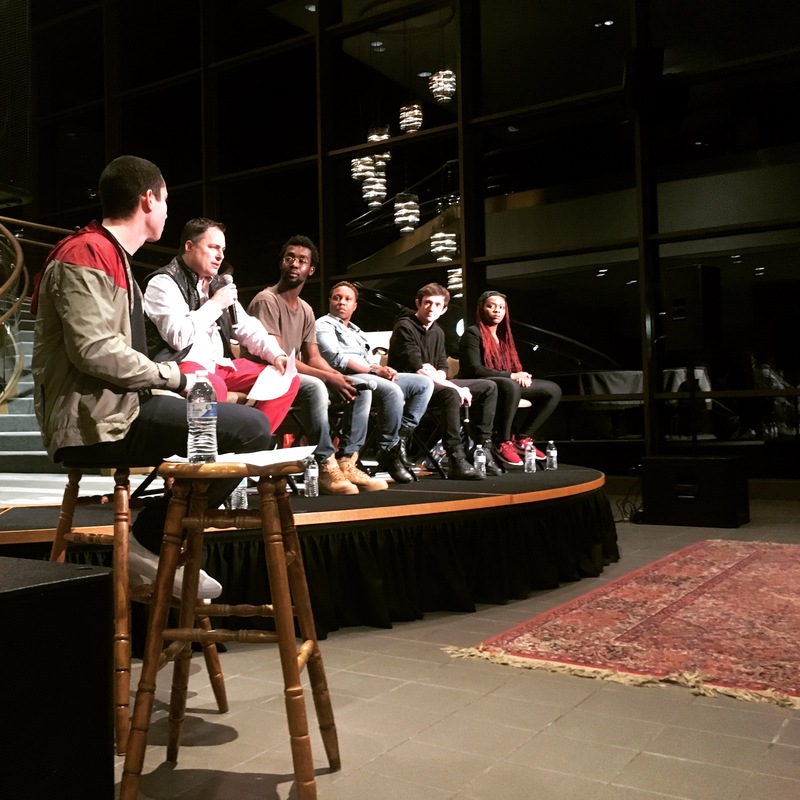 Moderated by Manny Faces, a New York City based hip hop journalist and advocate, the Weis Center welcomed artists Amos Lachman, J Pope and two Bucknell University students Mansa K and Amarachi Ekekwe. The most recent and important advancement in the hip hop genre came with the rise of social media. Manny asked the panelists to discuss their social media strategy and its impacts on the industry. “I aim to develop a slow following of dedicated fans” notes Mansa K, “but social media itself is a double edged sword.” The new and ever changing platforms of social media give anyone and everyone the ability to put their music on the internet, but too much music allows some of the most talented artists to be drowned out in the plethora of music available. This idea was noted by all of the panelists. Make sure to follow all of our artists on social media and keep up with their new projects debuting on Spotify, Apple Music, and SoundCloud in the coming months. For more information about the Weis Center for the Performing Arts, go to www.bucknell.edu/WeisCenter or search for the Weis Center on Instagram, Facebook, Twitter or YouTube.